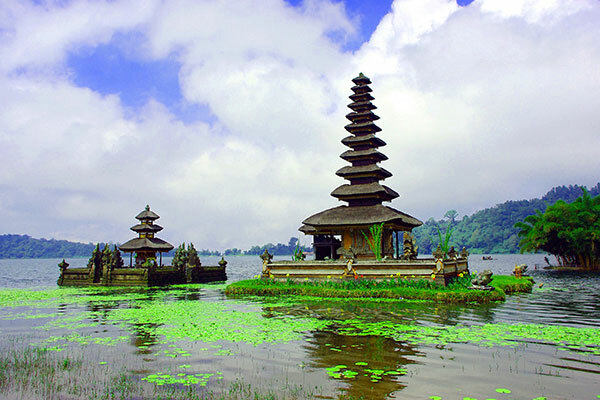 Bali Full Day Tour Packages, the one-day itineraries to go to the best attractions in Bali. 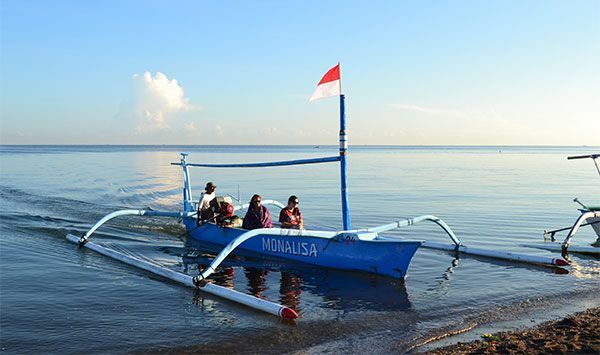 Bali one day tour packages is a wide range of Bali tour activities for the whole day to explore the beautiful tourist attractions and best tourist spots around Bali island Indonesia. All the trips that are included in Bali full day tours package take around 10 hours to 11 hours and 7 hours to 9 hours, during the entire day we will take you to the best sites in Bali that will give you unforgettable new experiences to see the unique cultures, the arts, the people, the historical places, and many more in your holiday on the paradise island of Bali. The activities of Bali full day tour packages will be accompanied by our friendly and professional English-speaking Balinese tour drivers who are always ready to guide you, all Bali full day trips package are provided with registered private vehicle (minibus or car) and of course with air conditions available, so it will make your trip very comfortable. Guest satisfaction is our main priority! Are you thinking about what to do in Bali to fill your unforgettable holiday in this beautiful island? Bali island is not just about beautiful beaches, amazing resorts, or even nightlife parties. There are a lot of things to see and things to do in Bali, Bali is unique and special! It's a small island but it has everything, e.g. beaches, volcanoes, lakes, mountains, rice terraces, waterfalls, temples, zoo, friendly locals, delicious foods, beautiful dances, art paintings and much more. You have many options to choose that suitable for your desire with your family or someone closest to you during your holiday in beautiful Bali island. Below we give you many options to choose about the itinerary of Bali sightseeing tours programs to see many tourist destinations and the best places to visit in Bali that we put it in our full day tours packages activities. If you have other places to go that are not listed here, please let us know and we still could arrange it for you! Check also our Bali half day tour packages and Bali combination tours packages for other options, or you can use the search bar above to search and find your desirable places to go in Bali. Please don't hesitate to give us your questions regarding any Bali tour packages or any other things to do in Bali. We are from Bali Places Tour will be very happy to assist you. Kintamani Volcano Tour is a trip that is included in the variety of full day trip packages to visit the mountainous area of Kintamani with the breathtaking views of the most active volcano in Bali island and the Lake Batur. The Kintamani tour itinerary, e.g. watch the Barong Dance performance, visit the center of gold and silver jewelry craft in Celuk village, visit the center of art paintings in Batuan Village, visit the beautiful Batuan temple, visit Kintamani for lunch with awesome sight of mount Batur volcano and its lake from the distance, visit the historical place of Gunung Kawi temple, visit Tirta Empul temple with its amazing springs, and visit the historical place of elephant cave temple (Goa Gajah Temple). 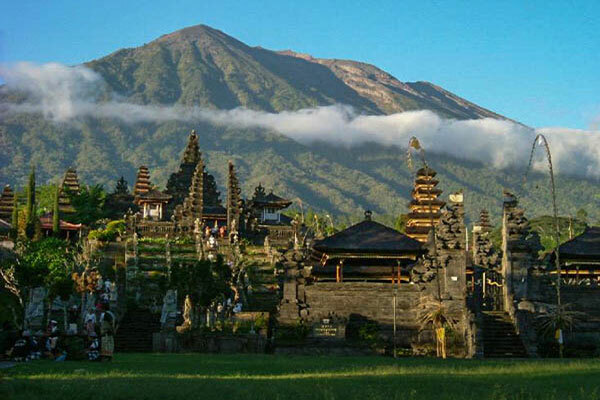 Kintamani Tour Bali and Ubud Village is a trip of Bali full day tours packages to visit Ubud town and Kintamani Bali volcano in one day, this is the most popular Bali island trip to visit places of interest in Bali, Ubud Kintamani Bali tour itinerary, e.g. 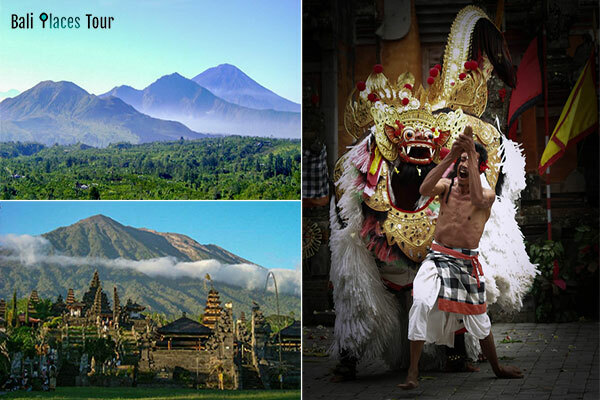 watch Barong dance performance, visit the art galleries of gold & silver jewelry, Batik, and paintings, visit the Batuan Temple, visit Kintamani for having lunch while enjoying the beautiful panorama of Batur Volcano and Batur lake, Tegalalang Rice Terraces, and the sacred Ubud Monkey Forest. Check also our half day Bali Ubud tour to visit Ubud in a short day. 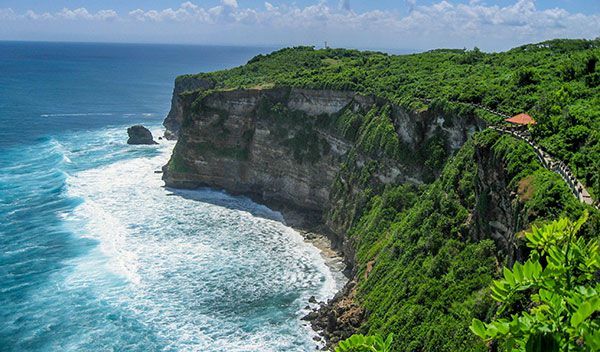 Uluwatu Tour is a full day trip package to visit the Uluwatu Temple which is known for one of a gorgeous Balinese temple situated in the rock cliff facing to the Indian ocean in the southern coast of Bali island. It's become one of the favorite and famous place to see and watch the sunset in Bali. Uluwatu Bali tour itinerary e.g. visits Garuda Wisnu Kencana cultural park, visit the beach of surfers of Padang-Padang Beach, visit Uluwatu temple, watch Kecak dance performance at sunset time, visit Jimbaran Bay for having seafood dinner. 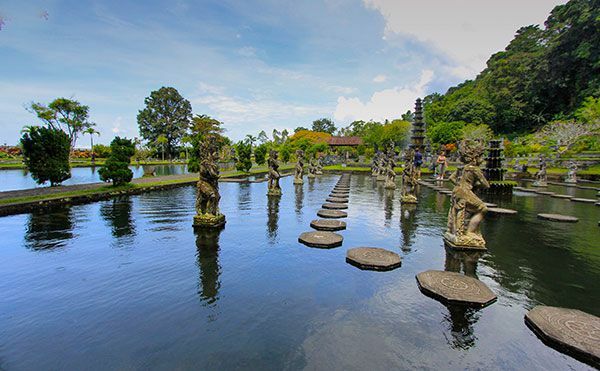 Singaraja North Bali Tour is a one day trip package to visit the tourist attractions in the northern part of Bali island. North Bali trip itinerary, e.g. Visit the royal temple of Taman Ayun, visit Bedugul lake Bratan and Ulun Danu Beratan water temple, visit hot spring at Banjar village Buleleng Bali, having lunch at Lovina with beautiful scenery of its beach, and to visit the famous Gitgit waterfall. East Bali tour Karangasem is a full day trip to see beautiful places and historical places situated in the eastern part of Bali island. Kintamani Bali East trip package itinerary e.g. watch Barong Bali dance, visit art villages of paintings in Batuan town, visit traditional hand painting of Batik in Batubulan town, visit the arts of wood carving in Mas village, visit the handmade jewelry craft in Celuk village, visit the traditional court of justice of Kerta Gosa Bali, visit the Bali Bat Cave temple which is well known as Pura Goa Lawah Temple, break for lunch in Candidasa restaurant with gorgeous views of Candidasa beach, visit Tirta Gangga water garden palace, and visit Taman Sukasada garden Ujung Karangasem Bali. Bali Besakih Tour is a Full Day Trip package to visit the mother temple of Besakih Bali, Besakih temple is the biggest temple in Bali Indonesia. Besakih trip itinerary e.g. 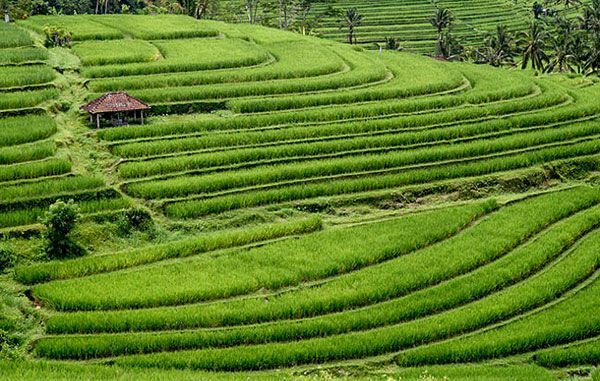 visit Ubud town, Kerta Gosa Bali ancient court of justice, lunch break at Bukit Jambul restaurant with beautiful views of rice terraces, and visit Besakih mother temple. 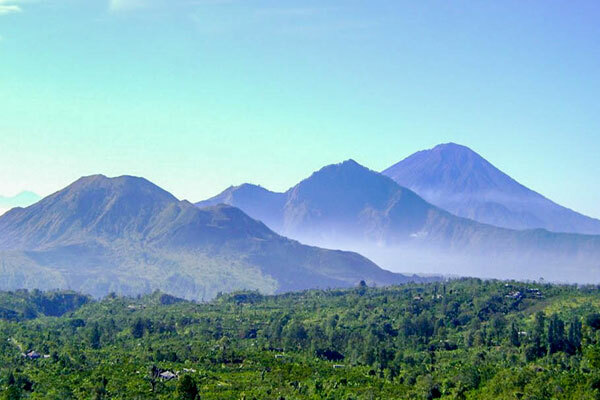 Bedugul Bali tour is a trip to visit the tourist attractions in Bedugul region. This trip is also one of the most popular activities to enjoy the beautiful panorama of Bedugul with the fresh and cool atmosphere. Bedugul trip itinerary e.g. visit Taman Ayun Temple, Bedugul Botanical Garden Bali, visit Balinese coffee plantations, Ulun Danu Beratan Temple, fruits & vegetables market of Candi Kuning. 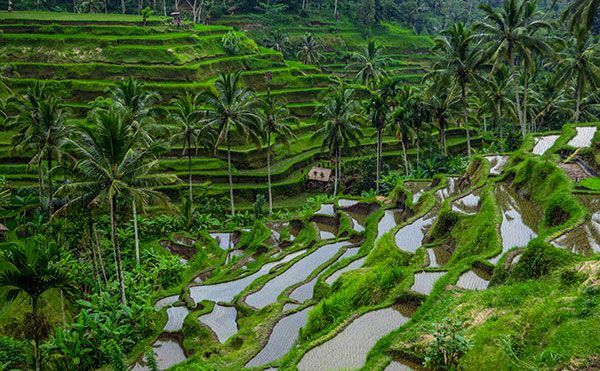 Bali Jatiluwih rice terraces and Tanah Lot Sunset Tour is a Bali one day tours package to go to the beautiful Jatiluwih Rice Terrace and enjoy the fascinating view of Sunset at Tanah Lot Temple. The other places of interest that are included in this package such as; Taman Ayun Royal Temple of Mengwi, Bali Coffee Plantation, Ulun Danu Beratan Lake water temple in Bedugul region and BatuKaru temple which is located on the slopes of Mount Batukaru. 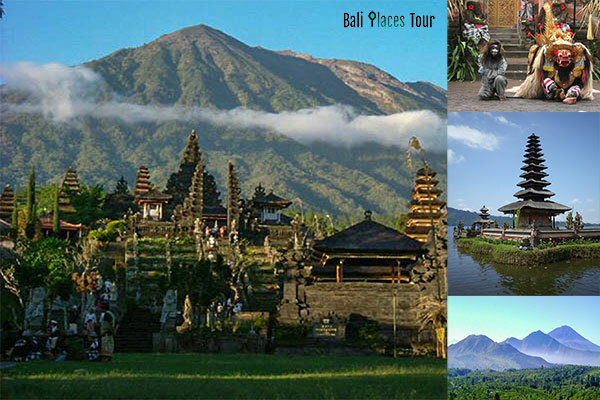 Bali Kintamani Besakih Tour is a full-day tour package to visit Bali volcano and also Besakih mother temple of Bali. Kintamani Besakih tour program will spend more or less 9 - 10 hours to travel the north-eastern part of the Island of Bali, Indonesia. Throughout these hours we are going to visit the most popular places of interest which could offer you memorable moments to experience the culture of Bali, the historical places in Bali and the magnificent scene of Batur volcano and also its lake. Do you want to see the other interesting places in Bali that are not included here on Bali Full Day Tour Packages list? let us know! we will arrange it for you!